So last week I told you about my hankering for some sterling silver Ippolita bracelets and my accompanying concern that they were so expensive. I chronicled my quest to find a cheaper version of the same bracelets, and found these. However, I had some reservations about these bracelets--mainly that they're still expensive, and I also didn't love the multi-colored stones. Well, I didn't give up in my quest. I actually found 2 much cheaper alternatives: a set of 3 bangles for $140 on Eve's Addiction, and a set of three on Etsy for $178. Don't love the Eve's Addiction one, but the Etsy option isn't bad. Unfortunately, she doesn't custom-size the bracelets. There are also a few other minor issues I have with it. BUT, I was perusing Endless.com today (oh how I love that site), and I saw that they sell jewelry by Robindira Unsworth, the designer that I had decided came the closest to the Ippolita look. If you recall, I had found these bracelets on her site-- a set of three for $525. Well, Endless sells them too! For $475. That's $50 off. PLUS, you can use MrRebates.com and get 10% cash back. Ahh I love Endless.com! And to make matters even better, Endless actually has some Robindira bracelets that the Robindira site doesn't have, including a sterling silver version with clear quartz stones (see right), very similar to the Ippolita bracelet! Strangely enough, the individual bracelets are $138 each, so the total for three would only be $414 (so there's no reason to buy the set of three). So for those of you with normal sized hands, you should totally get the Robindira bracelets from Endless. They have other metal/stone options too (see right), so you're not stuck with the monochromatic look that I've been going on about. So problem solved, right? Wrong. You may have noticed I advised my "normal-handed" readers to buy the Endless bracelets. But what about us small-handed folk? Well, we're SOL. I finally called up Robindira's customer service, and they do not do custom sizing/special ordering. I suppose I could price out how much it would cost to alter the Robindira bracelets, but I'm feeling lazy, and I think it would be pretty tricky, because the jeweler would have to take a little bit out of each segment to make sure the stones are equidistant. That can't be cheap. Especially for three bracelets. And I don't know how it would come out. So that's that. Ippolita it is! P.S. Sorry for the two excessively long posts on this topic which I doubt anyone even cares about except me. Did you look into having them made? No idea what the cost would be, but seems like another option to look into given the excessive number of jewlers in NYC. 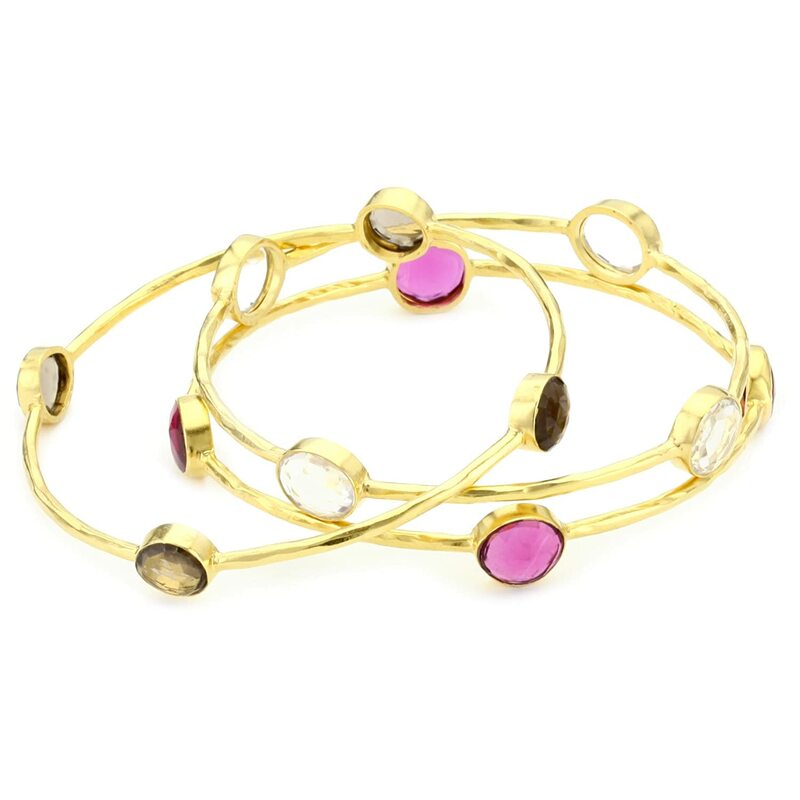 By the time you do all this research you could have had Ippolita bangles that you know that you would love. It is well worth the money and they would be a much better quality than any of these Ippolita look-a-likes. Jess-- I haven't looked into having them made--I've been kind of lazy, and I don't like not knowing what the final product will be. Anonymous--the "research" took about a half hour. The wait to special order a bracelet is three months. However, I probably will end up getting the Ippolita bangles--mostly because I can get the proper size and have seen them in person, and less so because I believe they're better quality than the other versions. DSD is Back, with a Great Deal for Milly! Fall Preview Sale on Piperlime!